Today, many Americans seem obsessed with making their house smell fresh and clean. Spritz here, spray there and add a plug-in in the family room. Your house can smell like clean linen on a summer day or like a vanilla pound cake. BEWARE! While these air fresheners smell wonderful, they can be loaded with tons of chemicals. 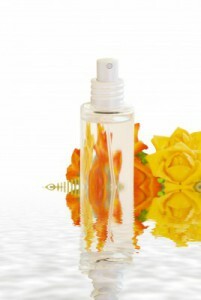 Phthalates – This is a group of chemicals used in plastics, makeup and air fresheners. Phthalates can cause hormonal abnormalities, birth defects and reproductive problems. Volatile organic compounds (VOCs) – VOCs can cause many different ailments including eye and throat irritation, headaches, nausea and allergic skin reactions. Formaldehyde and benzene: These two chemicals are known carcinogens. Keep yourself and your family safe from the damaging effects of these dangerous chemicals and add fragrance to your home naturally! Get rid of all those chemical-filled air fresheners and use the following suggestions to get a safer, fresh-smelling house! Open your windows, weather-permitting, and let some fresh air circulate throughout your house. Nothing smells better than fresh air! Drink ionized alkaline water, which contains a high level of antioxidants, to help rid your body of the built-up toxins that are likely to linger after inhaling the fragrance of the air freshener. Wash your floors with acidic water to sanitize them naturally. Adding a few drops of an essential oil is a nice way to add some fragrance without using chemicals. 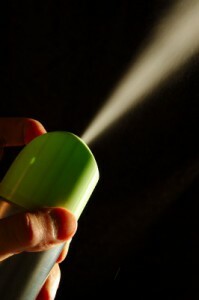 Instead of using aerosol odor-eliminating products, fill a squirt bottle with acidic water mixed with a few drops of your favorite essential oil. Acidic water has antibacterial properties and is sure to leave your house smelling fresh and clean. These are just a few suggestions on how to rid your home of toxic chemicals. Please let us know your favorite ways to get a great-smelling home naturally!